Expand your network capabilities by adding 4 individually controlled Gigabit Ethernet ports. Use your new Ethernet ports only when you need them all from a USB 3.1 Gen1 host connection. The USB 3.1 to Ethernet adapter can be mounted via DIN Rail of flat surface. The CG-4P31G1EA USB3.1 Gen 1 to 4 port Gigabit Ethernet Adapter provides 4 Gigabit Ethernet ports to your Notebook, Desktop, Server and Thin-Client computers. Each of the Gigabit Ethernet ports can be individually turned on or off via the built-in DIP Switches. Simply connect it to an available USB 3.1 port and you’re ready for gigabit network speeds. With built-in the Windows drivers on the adapter’s hardware, the installation is very simple, just plug and go! The system will install the Windows drivers automatically. The Universal Serial Bus (USB) 3.1 Gen 1 Super-Speed specification works up to 5Gbps as It provides lightning-fast gigabit speeds. Upgrade your network’s bandwidth to accommodate large file transfers, data backups, or access your network storage. 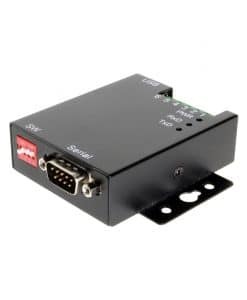 The CG-4P31G1EA provides an ideal solution to expand your Ethernet ports immediately and save your investment. Supports 1 Upstream USB3.1 Type-C connector with Screw Lock Mechanism. Supports 4 Gigabit RJ45 connectors with Speed and Link/Act LED Indicators.